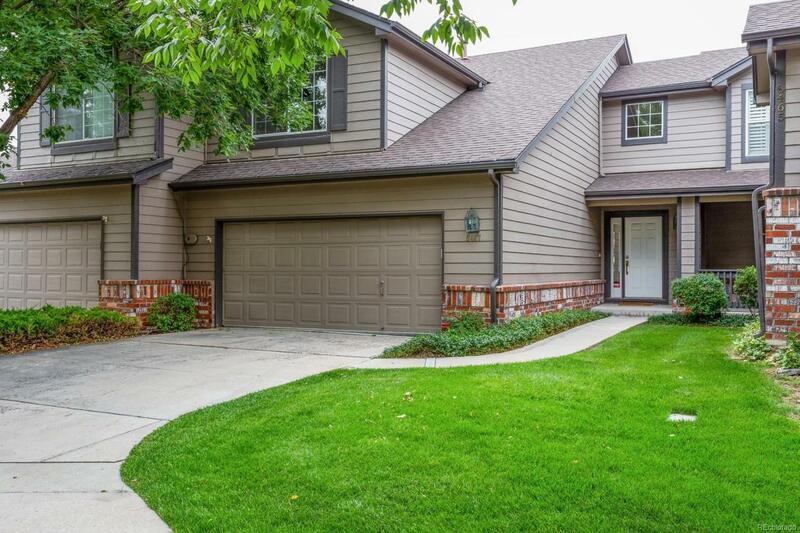 Rare "Updated" Sterling Court 2 story residence located close to the Denver Tech Center! This premium lot location is adjacent to the Sterling Court Swimming Pool! The main level features an incredible Great room with vaulted ceilings, built-in shelving, and a wonderful gas fireplace. The kitchen has new granite counter-tops and tile backsplash. Lots of cabinets and nice sized pantry. The dining area is adjacent to a quiet South facing patio. The upper level features a large master suite and an updated master bath with a master walk-in closet. The secondary bedroom is sizable with a nice full bath. The basement is nicely finished and has a large storage room. Recent updates to this incredible property include New Carpet, New Paint Throughout, New Granite Counter Tops in the Kitchen, New Lighting, New Tile Flooring in the Bathrooms, New Door Hardware, New Kitchen and Bath Fixtures and a New Master Shower Enclosure. This is a very clean property with very little use!